TUGboat, Volume 35 (2014), No. 2. This book is part of a Design Museum series including the titles “Fifty x That Changed The World”, where x is one of Bags, Bicycles, Cars, Chairs, Dresses, Shoes, Typefaces, or others. The book reviewed herein was originally published by Design House in association with Conran Octopus and John L. Walters, the Editor of Eye magazine, is the presumed author but is only credited by the phrase “Text written by”. N.B. There is no human name, e.g., an author’s name, on the spine of the book or on its cover and publishing credits, copyright claims, publishing dates, etc., are deferred to the last page of the book; in other words, a rather enigmatic structure and I may have some of the credits wrong. The contents are simple to describe: The front matter consists of two copies of a title page separated by a page-sized slightly abstract picture of a type slug for an ampersand, a simple table of contents (no indentations, everything at the same level), then a one-page introduction accompanied by a picture of some characters. The main contents are fifty two-page articles, each describing a different typeface. The left-hand pages include descriptions with some history, inventor(s), motivation for introduction, and some example characters in the typeface. Right-hand pages show pictures, usually in color, of applications of the typeface, e.g., the pictures for Transport, aka the House Style for Britain, show actual road signs set in the Transport typeface. The end matter consists of four parts: a glossary defining some terminology used in the book, a subject index, picture credits, and other credits—publication dates, copyrights, and additional information usually found near the front of a book. The fifty typeface descriptions are arranged in chronological order. The first, circa 1455, is the Blackletter used to set the 42-line Gutenberg Bible. This type was based on the lettering used by monks to copy manuscripts. The accompanying pictures include a page of Gutenberg and a more modern version used for the naming sign on the Chicago Tribune building. The number of typefaces, by centuries, in this book are: 2 in 15th century, 3 in 16th, 1 in 17th, 4 1n 18th, 10 in 19th, 27 in 20th, and 3 in 21st. The fiftieth typeface discussed is Ubuntu with a 2011 date so we are certainly in the computer age. Ubuntu aims to grow and provide a method to print languages based on roman as well as other alphabets. The accompanying picture shows a collection of characters that I do not recognize with markup comments, e.g., “a bit narrow”, meant to show the extensibility concept in action through design. The book itself is printed on thick sheets of a very white paper and is set in DM Schulbuch, an invention of Design Museum. It is a rather natty looking sans serif face that is easy to read. The pictures are in the best traditions of the commercial artist showing off and give the book a hypermodern feel. In my mind this inexpensive book—less than $16 at Amazon.com—qualifies as coffee table art. It’s very good looking. I must review my own history1 vis-à-vis typesetting in order to identify what I believe to be the glaring omission. I worked at the System Development Corporation (SDC) starting in the mid 1960s. This was the first time I was involved in preparing papers for external publication. Original text was handwritten since neither our computer terminals nor line printers had lower case or math characters. At some point after editing and hallway reviews, papers were ready to prepare for submission. I could now use the best, smartest typesetting engine I have ever had access to—Ethyl Erich! Lou (as we called her) had emigrated from Australia where she had been a court stenographer. And could she type too. One hand held the math ball for an IBM Selectric Typewriter, while the other typed. She would change balls with one hand as necessary and was able to sustain a rate of several words a minute through math-laden text. Once Lou came into my office while preparing a lengthy document coauthored by several of us and said “On page 12 you have such and such but look at page 143.” There was a subtle inconsistency that took a meeting of the coauthors many hours to haggle out. As I said, this was the smartest typesetting system I ever used. Eventually we had terminals and line printers with lower case that were usable for initial paper preparation but were quite worthless for preparing “final” submissions. The next stop for me was USC ISI during the late 1970s and early 1980s. ISI had a Xerox XGP printer with multiple typeface capability. ISI was also one of the beta test sites for Brian Reid’s Scribe typesetting system developed at Carnegie Mellon University as the substance of his PhD dissertation. Scribe and the XGP together provided a substantial typesetting capability that was quite exciting for its time. However there were three serious problems: 1) The XGP would only allow six different typefaces/fonts per page; 2) The available typefaces/fonts were wildly inconsistent, e.g., 12pt roman and italic had different baselines, and other problems of this sort, because computer science grad students sans commercial art backgrounds generated fonts du jour; 3) Scribe proclaimed but did not have decent mathematics capabilities, e.g., putting both a subscript and a superscript on the same character was a complicated process. I was writing a paper that ran into all of these problems and decided to fix things: 1) I “fixed” various faces in two sizes to be consistent; 2) I combined several small special-purpose character sets into one to mitigate the XGP’s load limit; 3) I wrote a macro package to simplify typesetting simple mathematics. I tried to get ISI management to hire a part-time grad student with relevant typesetting experience to improve the Scribe/XGP combination into real usefulness. I failed in that attempt. My final stop on the path to typesetting enlightenment in the digital world was the Northrop Research and Technology Center in the mid-1980s. Nothing to note for a while, then progress: first we worked our way onto the emerging Internet and second we received a TeX suite including TeX, LaTeX, and METAFONT! It was everything that Scribe proposed to be and much more. Math was insanely good, publication quality was almost guaranteed, the engines were fast given the hardware of the day, and the package dealt head-on with typeface problems. Computer Modern was available in a plethora of sizes, boldness, slants, serif choices, etc. and all were consistent. It wasn’t long before the engine would generate a character set automatically when needed and absent. Nowadays many typefaces have been defined within the TeX suite and these definitions are distributed via systems such as MiKTeX and the CTAN repository system. A question came to mind at the time: has every font in the Computer Modern typeface that can be auto-generated been generated at least once somewhere? If the question is expanded to the totality of typefaces distributed through METAFONT, the answer is surely no. I think the book’s omission must now be obvious: Computer Modern, by leveraging computers, was the world’s first truly complete typeface in any serious sense. Its appearance brought the vague promise of the computer in publishing into sharp focus. Here was software that could run on desk-sized computers and produce copy that would satisfy the most finicky publishing houses. And if the credit is not given to Computer Modern, consider METAFONT as the object of praise. If Ubuntu is to be honored for providing flexibility and growth, why not pin the gold star on something else which does the job better and did it earlier? 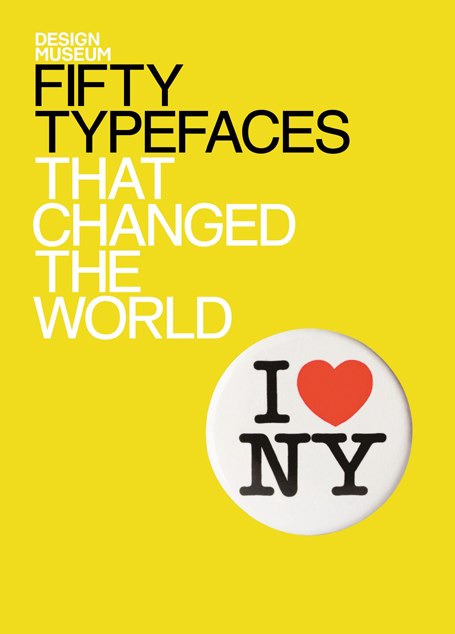 Though I’m sure the book’s omission is the result of ignorance, that isn’t an excuse when producing a title such as Fifty Typefaces That Changed The World. TeX and its companions have changed the entire publishing landscape and that should be acknowledged. I must end what began as a short review with my excuse, a paraphrase of Mark Twain and Blaise Pascal: I am not knowledgeable enough to write you a short review, so I am providing a long one. 1 I’m aware that reviews are supposed to be about the object reviewed and not about the reviewer but this one is based on my opinion and I want to justify it. Or I’m declaring my interest as British MPs but not US Congress members do.